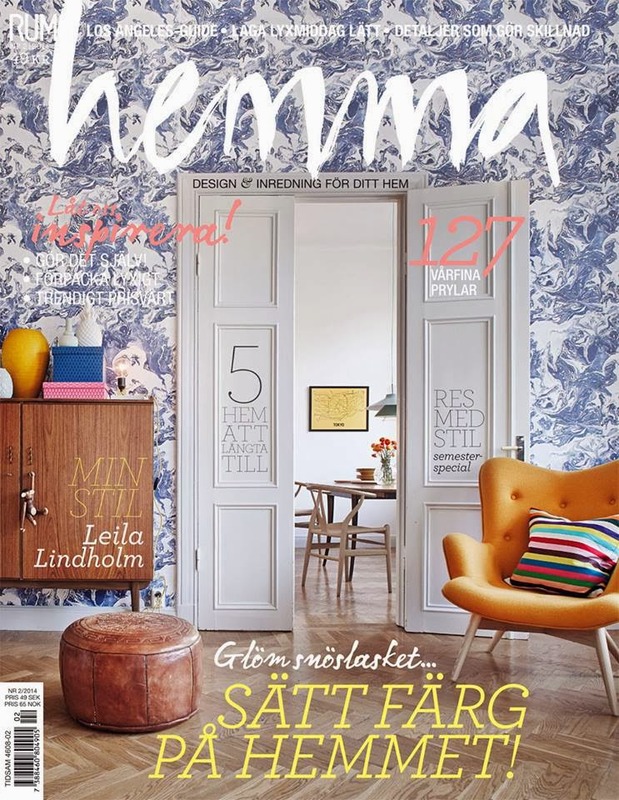 Last year I was contacted by Swedish interior magazine Rum Hemma. Much to my delight they had discovered my blog and wanted to interview me. 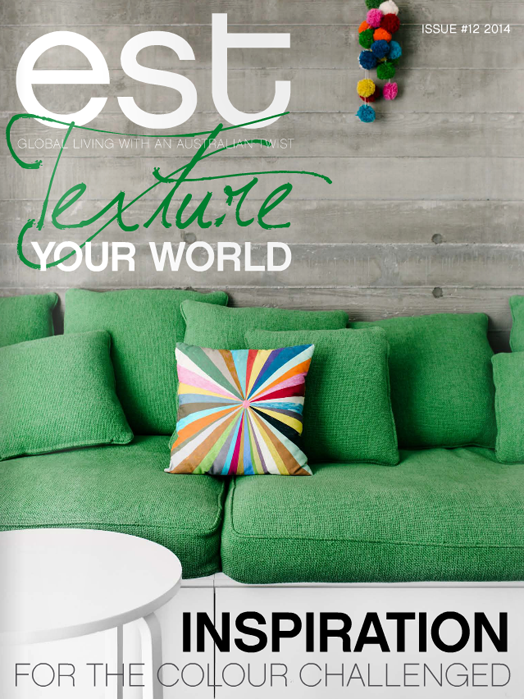 The questions were great in that they got me thinking about interior design here in NZ, and trends for 2014. I was also asked my opinion of Nordic design, which I'm always happy to talk about! It was exciting to receive the magazine in the post, all the way from Stockholm. Despite being in Swedish, the images throughout are inspiring, and of course seeing myself in there was a buzz! Even more so, by being in the company of well-known blogger and author Holly Becker of Decor8 fame, whose interview is on the previous page. You may have seen this photo I posted on Instagram yesterday. The interview is due to be posted on the Rum Hemma website, which of course can be translated, but I thought I'd share the full interview with you today, in English! How popular is interior and design in your country? 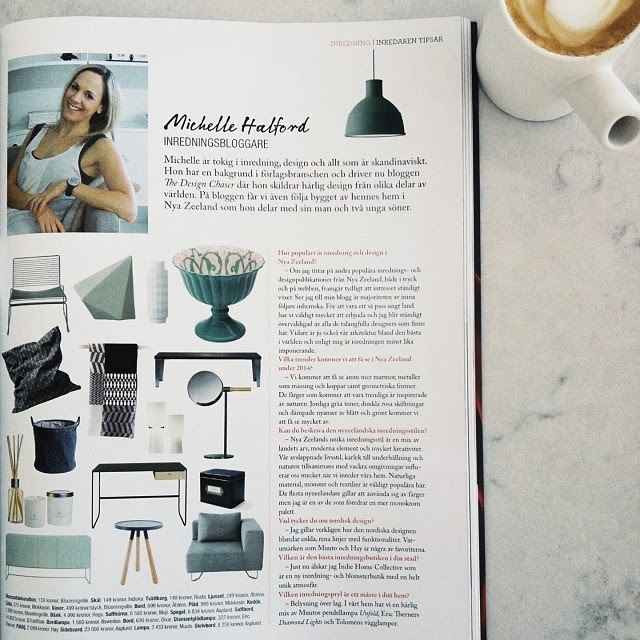 The majority of my blog followers are from New Zealand, and judging by other top interior and design publications, both online and in print, there is huge interest in both areas. For a small and relatively young country, we have so much to offer, and I'm constantly blown away by the talent of both established and emerging designers. Our architecture is among the best in the world, and I think that the interior design is just as impressive. What trends will we see in New Zealand in 2014? see a lot of natural linens and textiles. Colours will be inspired by nature, with earthy greys, dusky pinks and muted shades of blue and green. 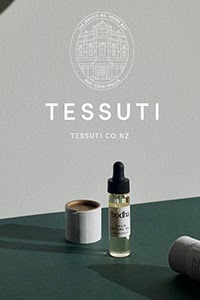 Can you describe the New Zealand interior style? NZ has a unique interior style that celebrates its heritage (Pacific and European influences) mixed with modern elements and plenty of creativity! Our laid-back lifestyle, love of entertaining and the outdoors, together with our beautiful natural surroundings play a big part in how we decorate our homes. Natural materials, pattern and texture are popular. While there are those like me, who prefer monochrome palettes and a pared-back aesthetic, many New Zealanders love to embrace colour. What is your opinion about Nordic design? I have a huge appreciation for Nordic design and the way it mixes simple clean lines, with functionality. 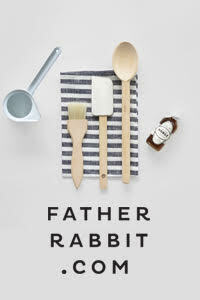 I love brands such as Muuto and Hay and I find Nordic style homes really beautiful. Uncluttered and unpretentious, the addition of natural materials such as wood, wool and leather provides warmth and texture. Which is the best decor store in your city? It's hard to choose just one! Right now I'm loving Indie Home Collective, a new interior and flower store with a unique Scandi-boho vibe. What interior item is a must have in your home? Feature lighting. We have a great mix including Muuto Unfold Pendants, Eric Therner Diamond Lights and Tolomeo Wall Lights. Another fabulous magazine that deserves a shout out is the latest EST. Always inspiring, I enjoyed seeing the home of Tom Adair, creative director of Abode Living featured inside the online magazine. You may remember my interview with Tom last year. Seeing that he'd named me as one of his favourite Pinterest pinners was also a lovely surprise. If you haven't already signed up to EST (for free) make sure you do! Where is that stool with the black top from? Love it! Good on u! That magazine cover is stunning. Must have been very exciting!